It’s that time again, time for another Ramen Review! 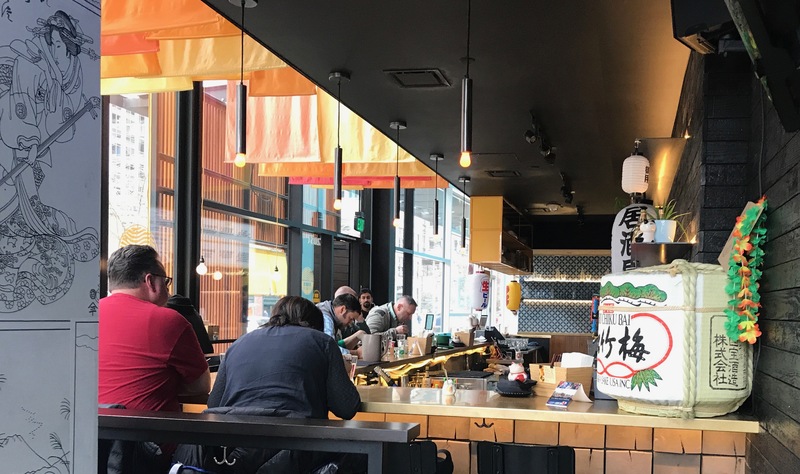 Heads up, I’m currently in Dublin, and writing this in an emotional and Guinness fueled haze, but I think that can only work out well for the ramen I’m about to review! A few weeks ago I was in Seattle. I managed to find the time, in 7 days there, to squeeze in 3 separate ramen joints. The first in the hat trick of reviews is over here. The second place was a freak accident, and by far the earliest I’ve ever eaten the noods. I was early for the St Patricks Day Parade, and apart from a bit on how they are being really good people, the Amazon Spheres weren’t free to get in, so I was at a loss for things to do. Kiki Ramen wasn’t one of the places I had got on my google hit-list, but I had a quick scan of the menu online and there was a ‘breakfast’ option! 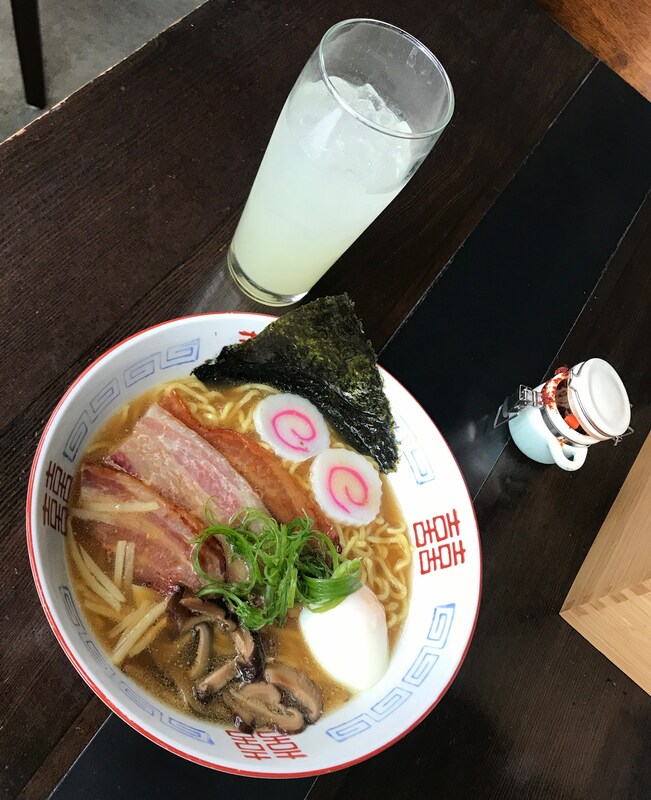 Ramen with bacon – I needed that in my life! The item that actually enticed me in was the Lazy Devils (devilled eggs kiki style – whatever that is) but sadly they were only available in the evenings. Undeterred, I found a table and perused the menu. Somebody needs to take responsibility for bringing ‘brunch noodles’ to the UK. East London hipsters would lose their actual minds! The broth was a bit on the thin side, but let us look at the facts – bacon, egg, mushroom, fishcake…these were contenders for the perfect noodle. The only other thing which let down the Kiki Ramen restaurant was that they appeared to be playing two TV stations at the same time which it was too early for my brain to process. Definitely check it out if you find yourself in Seattle, and let me know how those Lazy Devils are! I rate this RAMEN (4/5).